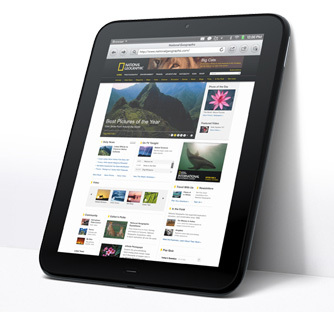 What does the glut of cheap HP TouchPads mean for Apple and Android tablet sales? If you're trying to get a $99 TouchPad but can't find it anywhere, blame Best Buy. Based on calls placed to a half-dozen of the stores today, Best Buy has refused to sell its huge stock of HP tablets, choosing to return them to HP instead. It's probably cheaper for HP to dump the TouchPads -- as in a landfill -- then to sell them. You can thank Best Buy, which is sitting on an estimated 245,000 units, for that and partly for the mess at HP's online store today. But there's sense -- loads of it -- for Best Buy shipping back unsold TouchPads rather than putting the soon-to-be obsolete devices into the hands of greedy geeks. HP, which is spending more than $100 million liquidating tablet stock, will compensate Best Buy for inventory. Better to take that cash rather than collapse sales of other tablets and quite possibly create unrealistic expectations among regular shoppers about what tablets should sell for. By coincidence, earlier this week, we got into an impromptu group discussion about tablet prices here at Betanews and what a $99 price point could do for sales -- that is from, say, Apple, Motorola, Samsung or the like. There was general consensus that a $99 -- I argued even $199 -- would set sales aflame. Well, there's a fire sale now, with an attractive tablet, running a sweet operating system, from a major brand. People are buying -- or trying too. There are unconfirmed rumors that HP sold 350,000 TouchPads at reduced prices -- the aforementioned 99 bucks for the 16GB model and $149 for the 32GB one. I don't know the number but bring it up for point of reference. What happens when as many as a half million tablets suddenly sell for low price -- and they're good ones, too. That can't be a good weekend for low-volume Android tablets, like Galaxy Tab and XOOM, or even iPad. From that perspective, Best Buy execs made the right choice. So, what? Best Buy is going to clean up HP's mess and in doing so create another? The best situation Best Buy can hope for now is HP dumping those returned TouchPads in some landfill somewhere. That will cost the company less than actually selling them. Assuming there are 12 million tablet shipments per quarter (Apple shipped more than 9 million in second quarter), half a million cheap TouchPads might not seem like much. But when Motorola and Research in Motion are shipping 500,000 tablets, or less, per quarter -- that sudden TouchPad glut could seriously impact sales. Best Buy is right to keep this kind of madness outside its stores. Better that Best Buy suffer nuclear fallout from TouchPad than be at the center of the blast. Because of Best Buy's savvy decision, TouchPad is now sold out pretty much everywhere at retail. HP still has them (online), but I've given up trying to buy one. Best of luck if you're trying. I can add the tablet to the shopping basket but get error either trying to get to checkout or once there trying to buy: "Microsoft VBScript compilation error '800a03e9'... Out of memory,,, /LM/W3SVC/600510919/Root/dStore/global.asa, line 0". I felt like a hamster running a wheel or mouse flipping the switch for pellets, but getting none, before demonstrating enough sense to give up. If this was an intelligence test, I failed. Had I been able to order, HP supposedly would have shipped my tablet on August 22. Obviously, lots of other people are tying to buy discounted, discontinued TouchPads, too, and HP servers simply can't handle the demand. Ponder that for a second and think about the appeal of a quality $100 tablet. People are clamoring to buy a product with no future. HP isn't going to make any more. There won't be new cases or peripherals. Meanwhile WebOS' future is uncertain. Still people are fighting to pay. It's yet another indictment of HP CEO Leo Apotheker's decision to kill off TouchPad after only six weeks of sales. It's selling now, Leo. Shareholders punished HP shares, which closed down 20 percent on Friday. If TouchPad's fire sale hurts vendors staying in the business, HP will have yet another group irate about the tablet's demise.